Zhukovsky Airport (IATA: ZIA) is seeking a partner in a project to build a new maintenance facility capable of providing heavy checks, Evgeny Kholodikin, first deputy director of Ramport-Aero, the airport’s managing company revealed at a recent event. Located as close as 25 km south-east of the Russian capital, Zhukovsky has ‘regional’ non-Moscow airport status. “There is an aircraft maintenance base in our masterplan. Moreover, we’ve scheduled this [project] for 2019 and 2020. 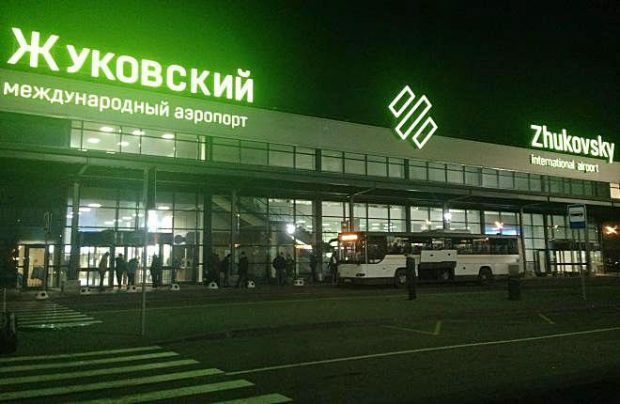 We’re yet to identify the operator, but the interest is there, and I think these projects will start at the same time as the construction of the airport’s second [passenger] terminal,” Kholodikin revealed. Having the ability to offer aircraft maintenance services up to heavy checks is especially important considering the airport’s projected increase in passenger numbers from the current 1.2 million to six million passengers in the coming years, and the rising number of aircraft located there. The provider of the maintenance, repair and overhaul (MRO) services is yet to be determined but, last year, Lithuanian-headquartered FL Technics opened a line maintenance station capable of handling Airbus A320 and Boeing 737NG aircraft with European, Bermuda and Aruba registrations. The company earlier told Russian Aviation Insider that if there is sufficient demand, it could also start offering base maintenance services. Regarding Zhukovsky’s second passenger terminal project, which is aimed at attracting new airlines, the scheme is scheduled to enter the design phase early next year. Integrated with the existing terminal, it will result in a total annual capacity of six million passengers. The current projection for 2018 is 1.2 million passengers, but there are plans to boost this to 2.3 million in 2019, thereby achieving the short-term ambition of placing Zhukovsky in the top-15 list of Russian airports. In the meantime, there has been a change in ownership at Ramport-Aero, Zhukovsky’s management company. In October, Lithuania’s Avia Solutions Group (parent of MRO specialist FL Technics) sold off its 22.5 per cent stake in the Ramport-Aero to the management of the company.